This month's BoRT is about masks in games. I usually play choice-driven games very sincerely, so I don't feel like I'm wearing a mask when I play them. Obviously, I'm not a Japanese high school student or whoever the player-character is, but I usually choose options that make sense to me. In his Designing Virtual Worlds, Richard Bartle discusses why players play in virtual worlds. He says things like "virtual worlds enable you to find out who you are by letting you be who you want to be." But he's clearly against the mask metaphor--if you become the character you're playing (your "mask"), then you're not really role-playing anymore, are you? For Bartle, role-playing is a kind of psychologically helpful exercise in acting. He's passionate that playing a character completely different from yourself is freeing. It inspired me to create a guardian character in Guild Wars 2 (since I usually play magic-users). But I found that simply playing a different character class didn't make me feel any different about how I played. For me, it took role-playing as a different kind of player (a playtester) to change how I played my characters. 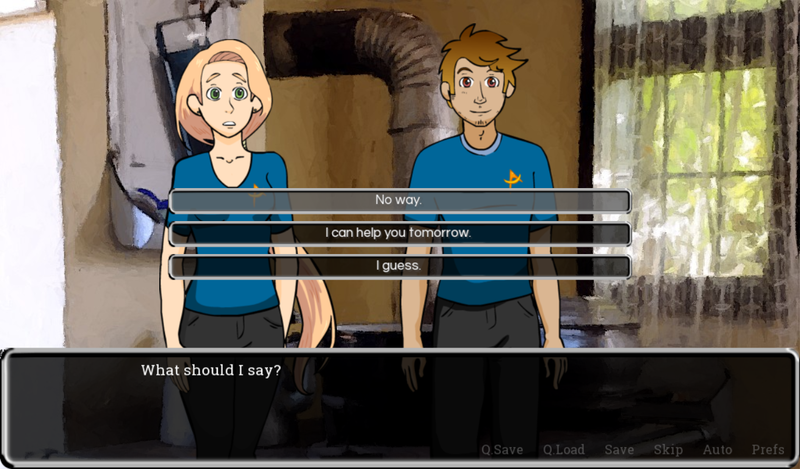 My sister and I have been working on a marriage-relationship-sim game called Personal Space, and lately I have been doing a little playtesting. As a playtester, I want to try different play styles. Instead of choosing what I know will "win," I start role-playing different kinds of players. My last playthrough, I maxed out my spiritual stat, but I chose somewhat impulsive or selfish replies when interacting husband character. I was studying spiritual writings every week, but there was nothing forcing me to actually change my character's personality. It's a simulation, so there's some limitations to what your character can do, but I felt like maybe I was more like this "impulsive" character than I'd like to be. I study my religion's teachings and I have aspirations at being a more "spiritual" or loving person, but on the other hand, sometimes I'm kind of an impulsive jerk. I'm sure it's possible to role-play a hypocrite in other games, but I hadn't really tried it until I felt like I had to explore different options as a playtester. I don't think that catharsis or "venting" is helpful for controlling my emotions. But I do think that exploring my options in a videogame is a safe way to see that my habitual way of interacting with others isn't the only way (kind of an odd thing to discover while playing a game I helped write, but there you have it).